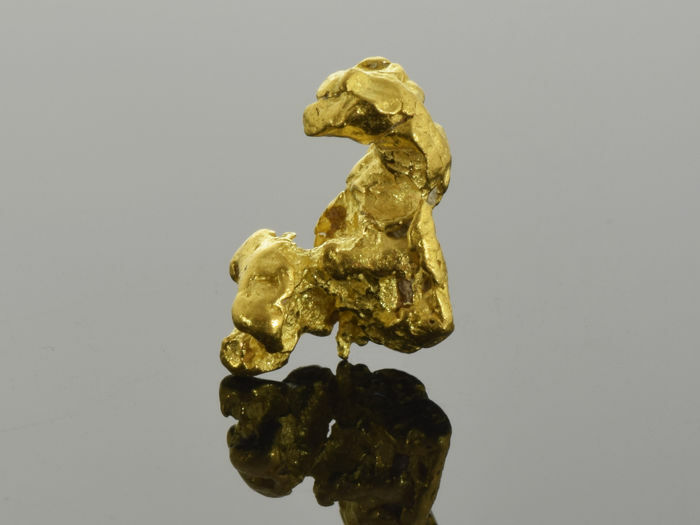 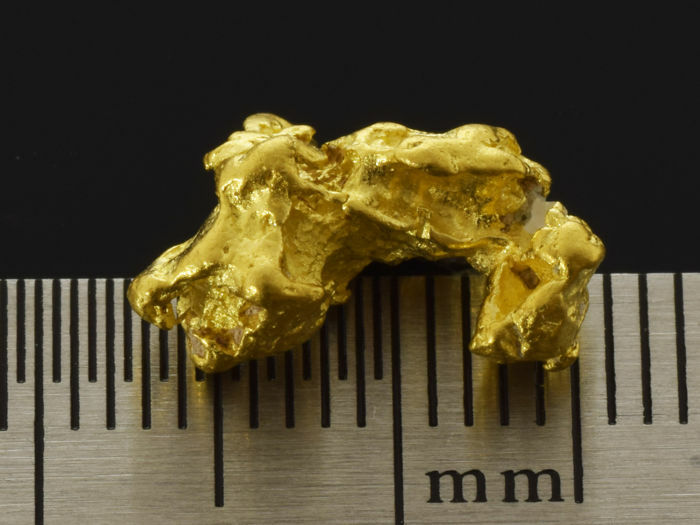 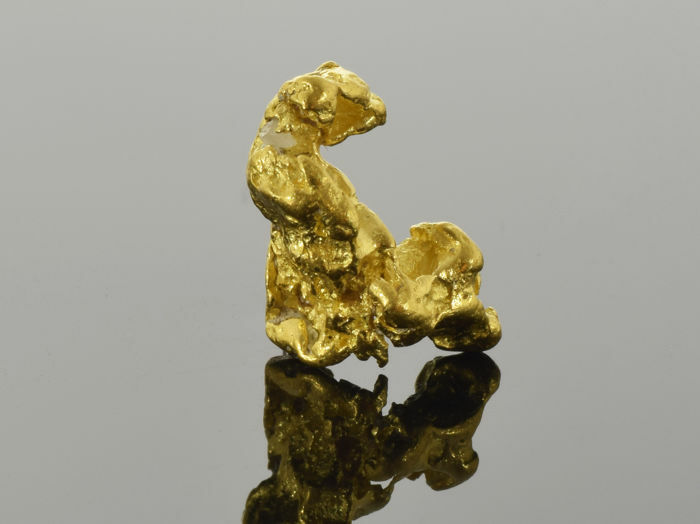 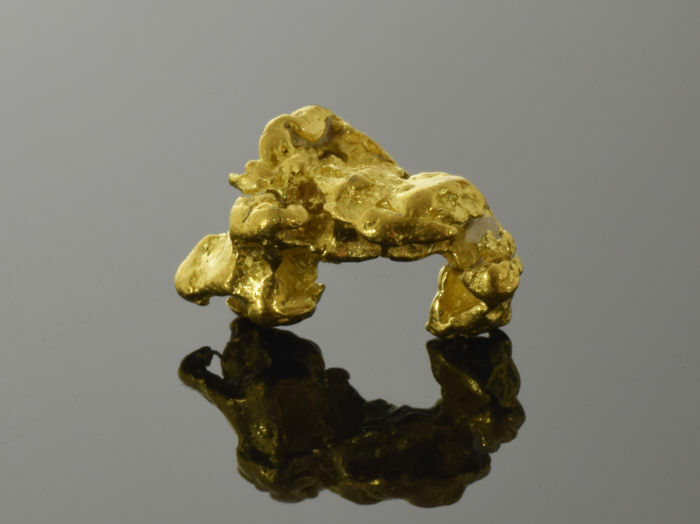 This high purity natural gold nugget weighs 2.33 g. and has been sourced from the Kalgoorlie region goldfields of Western Australia using a metal detector. 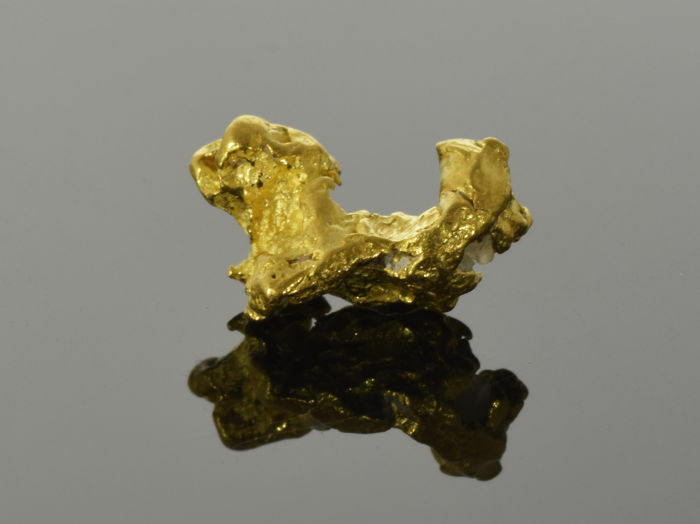 Gold nuggets from this area typically assay between 92 and 98% pure gold. 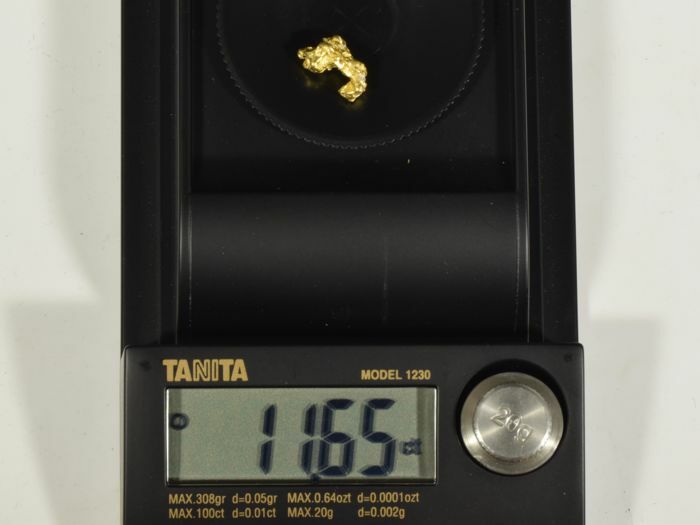 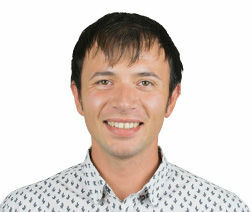 Measurements: 13.3 x 7.7 x 6.7 [mm] approx.